Remote and untouched... Just the way we like it! 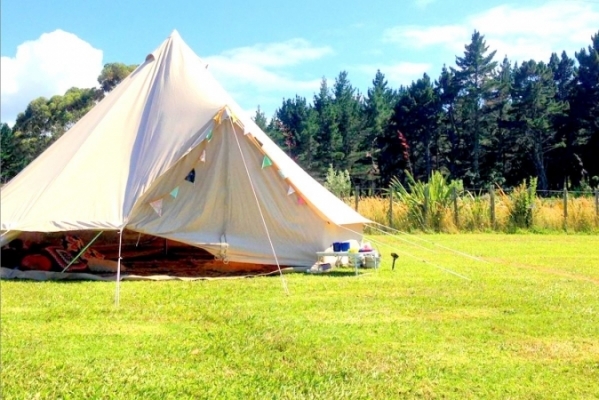 Welcome to Opoutere Coastal Camping, the Coromandel's last great secret. This relaxed coastal hideaway is a haven for exploring beautiful forest, beach and harbour - or just chilling out. Meander through ancient Pohutukawas to the summit, watch the sunrise or gaze at more stars than you have ever seen before and enjoy nature at its best with over 5km of unspoilt white sand, rolling surf and tranquil waters of the Wharekawa Harbour. All this in less than two hours from Auckland. Start planning your summer holiday and see you all soon! “There are some places that are sacred, whose secrets ought to be selfishly preserved in the tradition of The Beach"
If you would like to know more about the amenities we provide for our guests, see our Campground Facilities page. For our most frequently asked questions including our office hours, some of the services and amenities we provide, and information about Whangamata, check out our General FAQ page. Do you want to visit during our Summer Peak Season? These Summer Peak Season FAQs are a must-read before you send us a request. Our Campground Rules contain important information about how we operate to provide you a safe, fun, and enjoyable holiday. PLEASE don't tell anyone about this amazing spot! Come quietly, in the dead of night, guided by the stars along the short gravel road. Let yourself in (coz the owners are super chilled-out and trusting) and choose from acres of well-maintained flat, grassy, campsites. Let the whisper of the ocean call you along the pine-needle strewn track to 5km of empty, pristine sandy beach. You'll sleep and wake to native birdsong and wander to the kitchen to make coffee, greeting the few other campers with a knowing nod. You've found paradise. Unless you try coming for the summer holidays. Then you've found paradise on a very busy day. Ask about kayaking on the Wharekawa harbour, reached by launching at high tide from the campsite creek. Climb the gentle track through ancient coastal bush to the Maungaruawahine summit. Leave the nesting shorebirds - dotterels, oystercatchers and terns - plenty of space. Forage and fish for kai moana. But take only what you need. You are a guest of nature - behave. A little gem on the coast. Tucked between the road and a pine forest. Quiet and peaceful. Great amenities and a short walk through the sand hills to the beautiful beach. have driven past the sign often but never stopped before. What a wonderful place to take the whaanau, very friendly staff, clean facilities, with all the amenities you need, and a gorgeous location. Rock pools are definitely worth the walk. Would definitely take my whaanau back there again. The camp ground which is situated on the edge of a pine forest with forest access to a splendid surf beach, bird sanctuary and estuary was a very pleasant surprise. 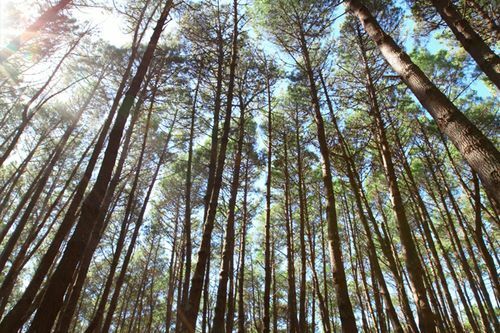 The pine forest area is suitable for walking and biking for all ages. The estuary is suitable at high tide for swimming, bridge jumping and small paddling boats. The camping ground is on 3 levels with generous sites, both powered and non powered. Facilities are adequate with hot showers ($1), fridges, freezers and small kitchen. There is good recycling, but the food waste container were too close to the camp sites and the rotting odures were unpleasant. For this reason we can not rate the camp 5. But we can highly recommend it as a commercial camp ground for families. You can not drink the water from the tap, however at the top kitchen there are facilities for obtaining drinking water. 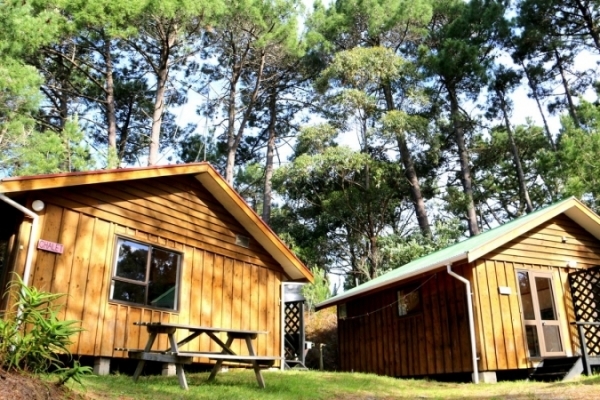 There are 3 cabins available for rental on site. 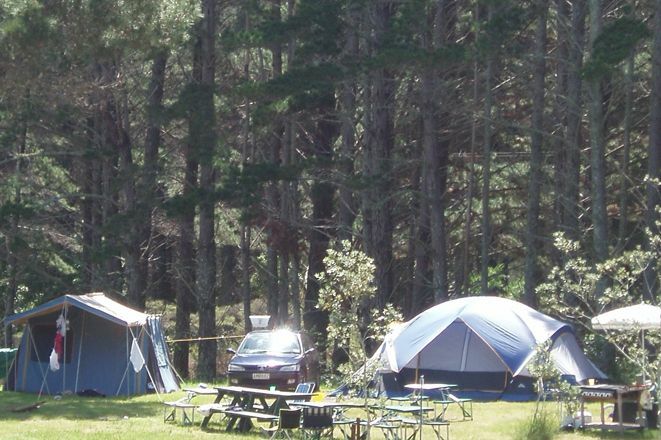 With an excellent location and friendly staff, we were very happy to have found this camping. The installations are very basic, but the big ‘but’ is that there is practically no shadow to be found on the grounds, while trees abound outside the camping. It got very hot during the day, inside as well as outside of our tent. We had no place to hide from the sun except the narrow bbq terrace. The best feature of the camping is the beach where quite some surfers try to find a good wave. There is also the Wharekawa inlet nearby, a bird sanctuary. Opoutere Campground is paradise. Incredible location tucked in behind a pine forest. Quiet and sun soaked. A short stroll through the forest to the beach. Basic but great facilities and a high standard of cleanliness. Even a few luxuries you would never normally have access to when camping… but having hot showers or putting your clothes in a dryer is not what camping is all about, right. Lovely managers that go out of their way to make sure your stay is special. Had a great time at this little gem of a campground. The staff were super friendly and helpful, the facilities were clean and tidy and the location was amazing tucked away near the forest and ocean. Have visited this campsite regularly over the last two years and experience has always been great.